Can Candida Cause Canker Sores? - YeastInfection.Org by Eric Bakker N.D.
You are here: Home / Other Issues / Can Candida Cause Canker Sores? Rita is an older woman who loves singing, painting, and playing tag with her grandchildren. For the last few months, she has felt under the weather so often that she’s forgotten what being healthy and full of energy is like. She often has canker sores in her mouth, and oral medications have stopped working. She says that there are other problems affecting her mouth, such as sore gums or strips of skin that come off of the cheeks. She’s woken up with slits on the edge of her tongue before, though there is no bleeding and the slight numbness goes away within a day (though eating can be difficult). Rita has gone to different doctors, but has had bad luck finding a doctor who will listen to her, and none of their diagnoses or prescriptions have healed the problem. She asked what could be going on since she has never experienced any of these symptoms in her mouth or immune system before. She thinks it may be a candida infection, but wants to make sure before she adjusts her diet and takes her health into her own hands. Canker sores are the most common type of sore in the mouth. They can be white or gray and have a red border. They can appear on the tongue, the back area on the roof of the mouth, and inside the lips and cheeks. People can confuse canker sores with cold sores (fever blisters), however these two are not the same: cold sores are a type of herpes that are highly contagious and appear outside the mouth on the lips, under the nose, or on the chin. With canker sores, there is often a burning or tingling sensation before the sores emerge. Tissue damage such as biting on the inside of a lip or irritating dental appliances, stress, and sun exposure are believed to be the biggest cause for canker sores. A weakened immune system can also cause canker sores, along with vitamin deficiencies which will be discussed later in this article. Immune disorders such as Crohn’s disease or celiac disease can cause canker sores as well, and allergies may trigger a canker sore to appear. In more severe canker sores, fever, swollen lymph nodes, and general sluggishness are not uncommon. Discomfort and pain in the mouth without signs of canker sores can be the cause of other health conditions. GERD is a reflux disease where stomach acid can return up to the esophagus and even the mouth. This can cause heartburn and a sore mouth, and is also not an ideal environment for oral health because of the acidity. Biting the tongue during sleep can result in cuts at the edge of the tongue. Even if sleeping, stress from the day or poor sleep cycles can cause anxiety during periods of rest, and the body may react. Skin stripping off from the cheeks may be due to biting the cheeks during sleep as well. Excessive spicy foods can irritate the skin, and allergies or other sensitivities can cause skin to die and strip off from the cheeks. Many conventional toothpastes, especially with whitening ingredients, can cause this problem. Food allergies can also cause tongue, cheek, and gum responses. Food allergies can begin in the mouth with numbing, tingling, or itching as soon as a bite of food is taken. If the lips, face, tongue, or throat swell shortly after consuming certain foods, this inflammatory response may also be from allergies. Those who are allergic to pollen, grass, and other environmental factors may have an allergic reaction to foods even if the foods are not what the body is allergic to. This is known as oral allergy syndrome (OAS). For those allergic to pollen: legumes, nuts, carrots, celery, and pitted fruits can sometimes trigger OAS. Ragweed allergies can be triggered by melons, tomatoes, and oranges. Those allergic to mugwort may find that onions, garlic; crucifer vegetables like cabbage and broccoli; spices such as coriander, and pepper will trigger mouth irritation. Baking or cooking these vegetables and fruits can reduce the likelihood of an allergic reaction. Even if allergic reactions don’t occur, canker sores may still appear from foods that generally cause irritation. These include acidic vegetables such as tomatoes, citrus fruits such as lemons, and spicy foods or sauces. Poor diet and exercise, allergies, and stress are a few factors that–in addition to causing canker sores–can weaken the immune system and create a feeling of constantly being under the weather. When the immune system is continually attacking foreign particles, overall health diminishes. Whether the particles are dangerous such as viruses, parasites, or excessive candida, or harmless such as food particles that have slipped into the bloodstream, the immune system treats any substance out of place as a threat. The immune system may start attacking the body, too, if particles become too frequent. This immune response leads to autoimmune diseases, which is often a result of extreme candida infections or leaky gut. The adrenal glands, which aid in both immune function and energy, can become overworked and lead to adrenal fatigue. Managing a healthy diet, supporting the immune system, and getting plenty of rest are important for healthy adrenals and immune function. Several vitamin and mineral deficiencies can alter oral health. B vitamins, especially B-1 (thiamin), B-2 (riboflavin), B-6 (pyridoxine), B-9 (folate), and cobalamin (B-12) affect the nervous system, including those in the mouth. Iron and zinc deficiencies also affect oral health. Zinc benefits digestive health and the immune system. 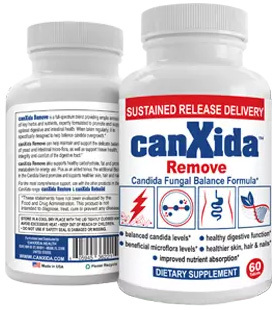 If candida overgrowth is present, the fungi send out destroyers that absorb and kill stored zinc in the body. Find out more about the benefits of zinc as well as a simple zinc test to determine if you have a deficiency. Probiotics are well-known for digestive health, but what many people miss is that digestion begins in the mouth when food is chewed. Probiotics also support healthy immune functions, and are is critical to fight infections and prevent sores. Check out Canxida Restore for a thorough description of specific strains in the formula to support digestion and the immune system. Coconut oil is a healthy fat shown to support brain health, immune function, and digestive wellbeing. It has healing properties which can be beneficial for oral health. Reducing inflammation in the body is also important for gum health and sores. Turmeric and ginger can be consumed as a supplement, or freshly grated and made into a tea. Both contain properties to support healthy energy, digestion, and inflammatory response. For healing and prevention of mouth sores, along with overall health, several ingredients in Canxida Remove have immune-boosting qualities. Garlic, grapefruit seed extract, and oregano oil are well-known for preventing and reducing the effects of colds and other viral attacks. These ingredients also support the body in destroying parasites and reducing fungi which includes candida infections. Neem oil, also in Canxida Remove, is known for its many healing properties and is used both internally and externally to prevent infections, sickness, and for its antibacterial properties. If canker sores become unbearable with pain, spread around the mouth, don’t show signs of improvement within three weeks, or are causing a fever over three days, contact a dentist or doctor. Simple diet changes that avoid acidic and spicy foods, being aware of allergic reactions to foods, and focusing on digestive health for overall immune support are the first steps for overcoming a feeling of chronic sickness and preventing sores and other concerns in the mouth. Where can we get your book. The video sound is way too low.